When it became obvious tht the incoming Morsi government had failed to build a consensus behind rather draconian changes in laws governing personal dress and behavior, _el-Sissi, then commander-in -chief of the Egyptian military, stepped in and with relatively bloodless coup to stop Egypt’s spiral into chaos under Morsi, a puppet of the terrorist organization, The Muslim Brotherhood. Egypt had been a major player on the world stage since around 3300 BCE, and they chaffed at the Brotherhood bit. Cosmopolitan Egypt did not want to be transmuted into a 6th century backwater. with Caliphate and Sharia to bend the backs of his beloved Egyptian people. 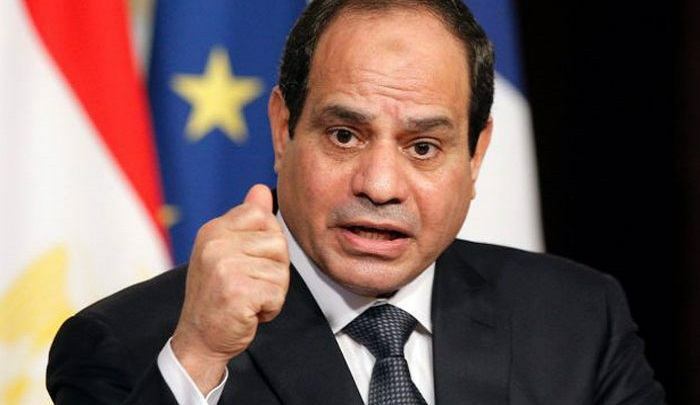 The pik below links to an article that includes a statement by el-Sissi that has been a long long time in coming. You must read the piece. It is worth the trouble. This entry was posted in History and tagged el-Asisi, emmigration, following host countries laws by jackhammerjohn. Bookmark the permalink.